You haven’t heard from the blog in a while. We’ve been really busy traveling throughout China! I would like to take this post to introduce this trip’s itinerary. 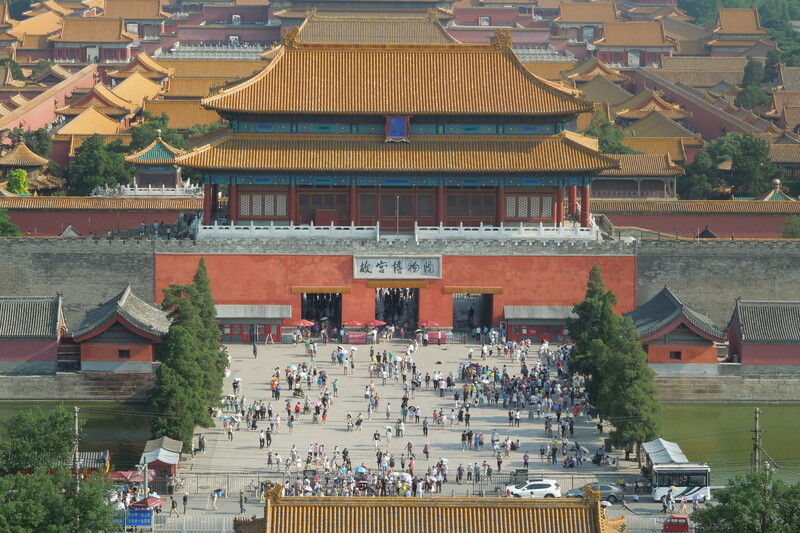 This trip is unofficially named “Expedition 13,” as it is my 13th trip to China. More notes from the field will follow. 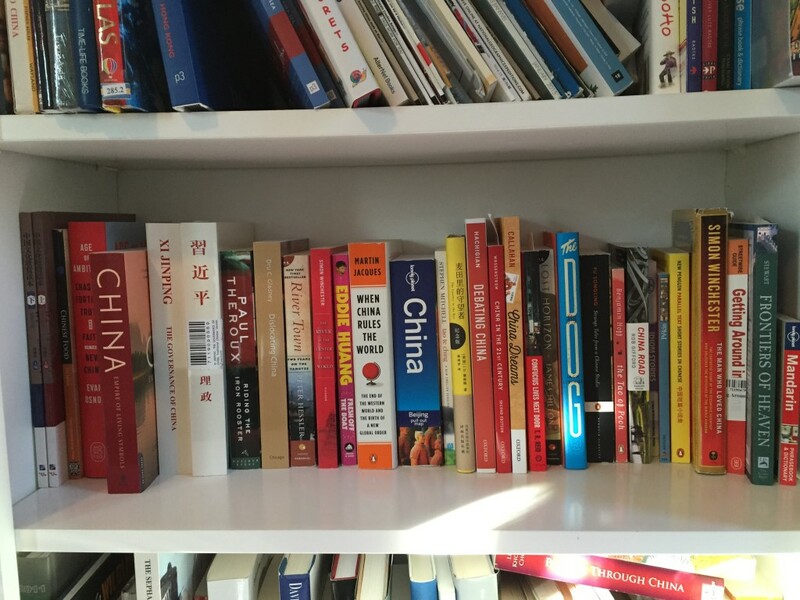 Living in a Beijing apartment. There you have a basic overview of the weeks to come. More posts and photos to follow! I’m heading to China tomorrow for 7 weeks and 1 day. Itinerary and updates to come, so stay tuned. First stop, Kunming! Ever since the start of Off the Silk Road, I’ve been looking for other individuals who share a similar passion for China. I’m excited to announce a new contributor to this blog, and an exciting project she’s a part of! Introducing Jemima. Jemima and I went to the same school when I was living in Hong Kong, and I recently reconnected with her to find that she’s spending the school year in Hangzhou, China! As part of her school’s curriculum, Jemima and her friend Imogen (also known as the “Cheetah Girls”) launched a fundraiser project to raise awareness for breast cancer in China. This week, they are in Tonglu (桐庐), running over 100 km (62+ miles) over 9 days to raise money for Tonglu No.1 Hospital and the Hong Kong Breast Cancer Fund. Both Imogen and Jemima have had friends and family affected by breast cancer, so they personally relate to the cause. During their week-long “Beyond” project, they will be talking to local breast cancer specialists, selling t-shirts to residents, and speaking on a Hangzhou radio station. 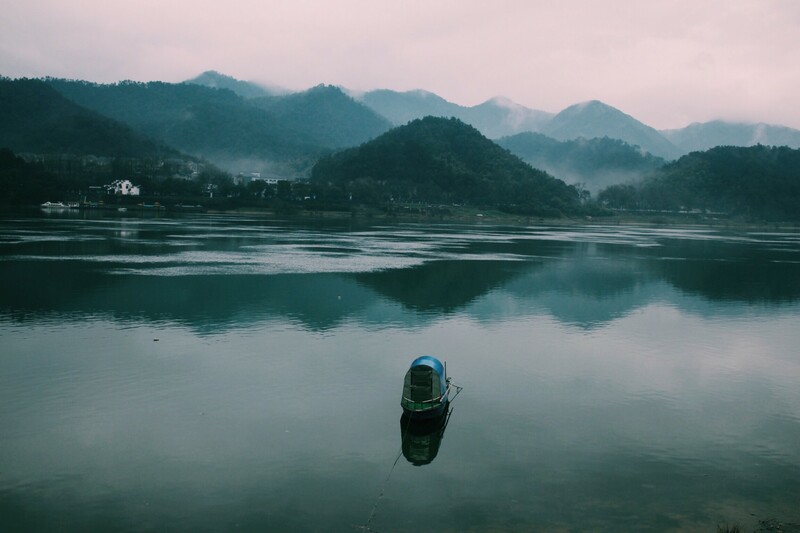 Thinking about their project’s running theme, I couldn’t help but think of Peter Hessler’s novel River Town, where Hessler finds comfort and serenity in running during his years in Fuling, Sichuan. “We are young but strong-hearted,” they said in their fundraising video, which you can check out on their fundraising page here. During their time in Tonglu, Jemima and Imogen are posting daily updates on their blog, which you can find here. Take a look at their project’s fundraising video below. Beyond Introduction from Imogen Alexander on Vimeo. Had a great meeting with the Bureau of Health and Sanitation yesterday! OUR BLOG IS UP AND RUNNING, more details coming soon! 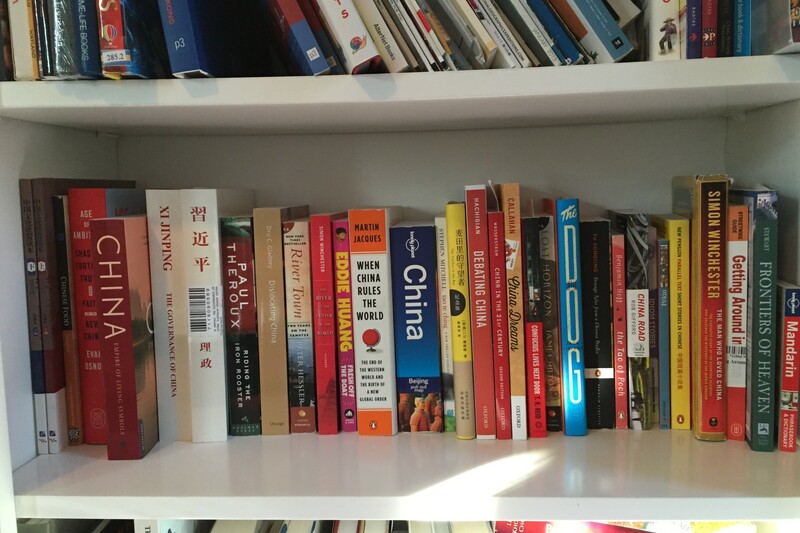 You may notice that we’ve added a new category under “Notes from the Field,” titled “Hangzhou 2015-16.” Jemima will be posting some of her perspectives on living in China in the coming months, so stay tuned for more updates once we get them up and running (pun intended). Thank you for reading! Wow, it’s been a long time since your share of Off the Silk Road news has arrived in your inbox! 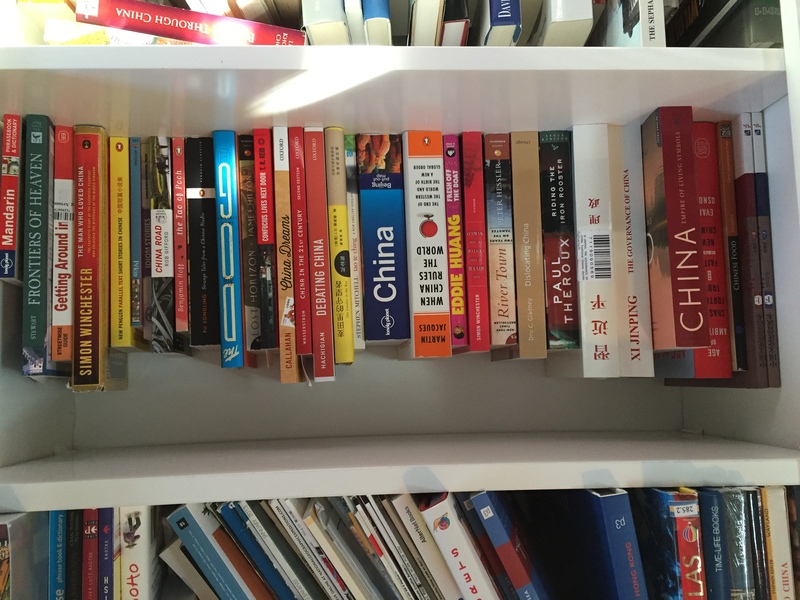 I’ve been quite busy with other things (including planning Expedition 13 to China this summer! ), but I’ll be working on the blog some more this month. In the meantime, I’m excited to announce a new contributor on the blog and an exciting project! To keep the suspense levels high, you’ll hear all about this in the next post. As always, feel free to contact me at offthesilkroad@gmail.com for any suggestions/comments/cool things to share. 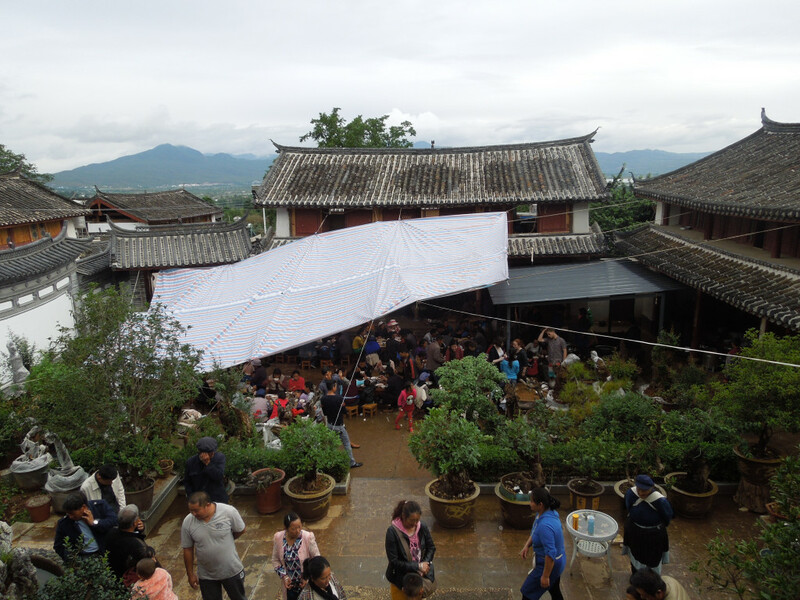 Situated in the heart of Lijiang, the old town consists of a labyrinth of stone streets with tea houses and rose cake (鲜花饼) shops dotted across the town. 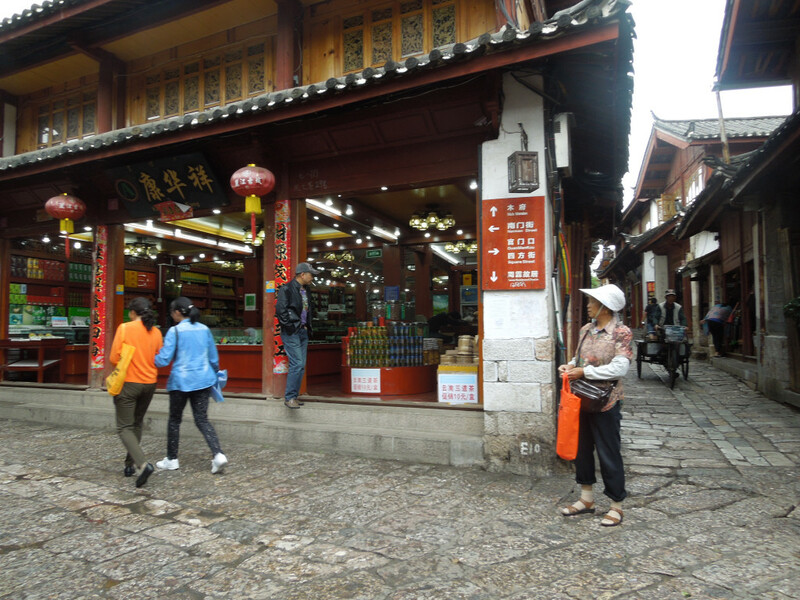 We had the opportunity to stroll around the town, and ask both shopkeepers and pedestrians some questions: Where are you from?, How is today’s Lijiang different from ten years ago?, Why did you come to Lijiang? 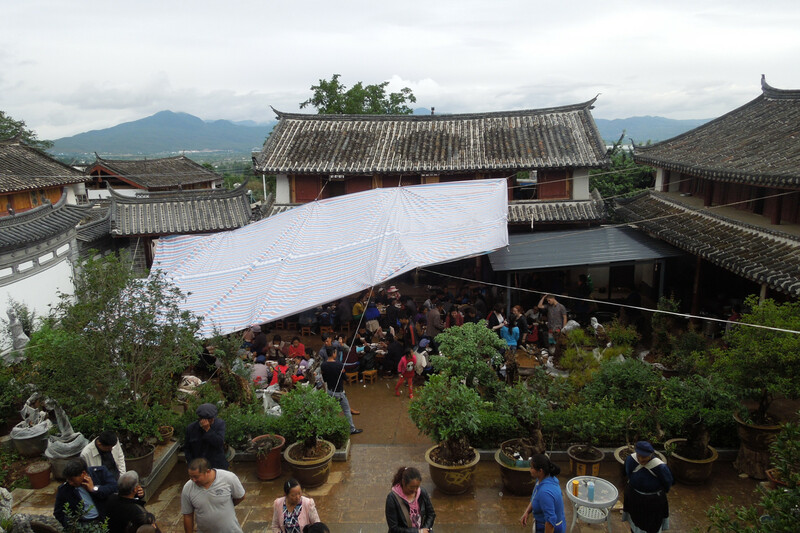 Aside from gaining practical language practice, the activity exposed me and my group to ben di ren (本地人), which are the local people. 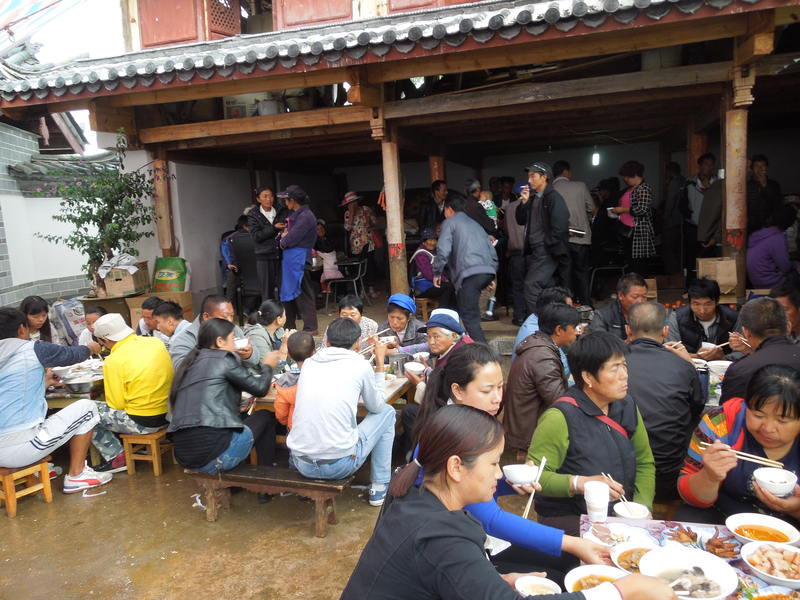 As author and Peace Corps volunteer Peter Hessler wrote in his book River Town, these people are part of lao bai xing (老百姓), which literally means “old hundred names.” We’ll definitely encounter more of these people as we begin our village homestays today. From 10:14 p.m. to 8:30 a.m., a 14-car train filled with hundreds of passengers steams from Kunming’s main railway to Lijiang. The overnight trains seems to have three classes: soft sleeper (软卧), hard sleeper (硬卧), and hard seat (硬卧). We booked our places in the hard sleeper classes, which on consists of six bunks without doors per berth, and about ten berths per car. I was on the top bunk. The lights went out at about 11 p.m., and so I slept quite comfortably until 7:30 a.m. We then ate a rose cake and a piece of lemon cake for breakfast. In the morning, I had a chance to walk through the train and saw the hard seat class, which was packed and full of smoke. 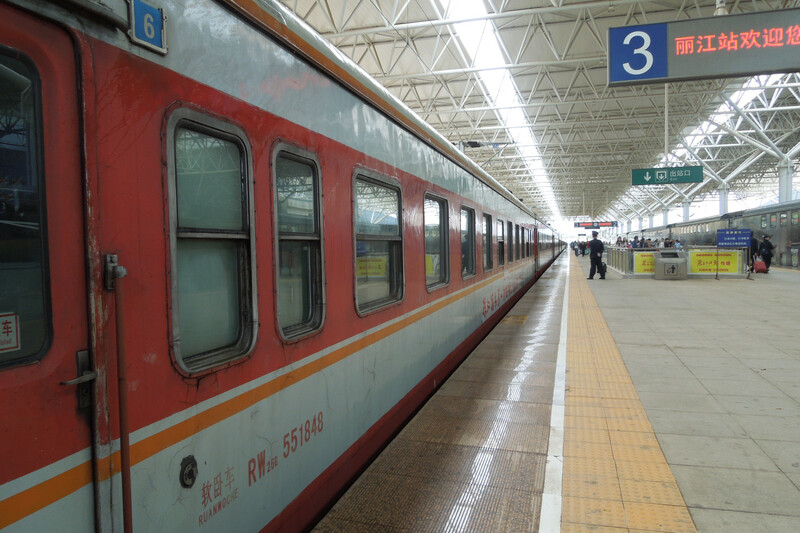 At 8:30, the train pulled into Lijiang’s railway station, and we began a new day. 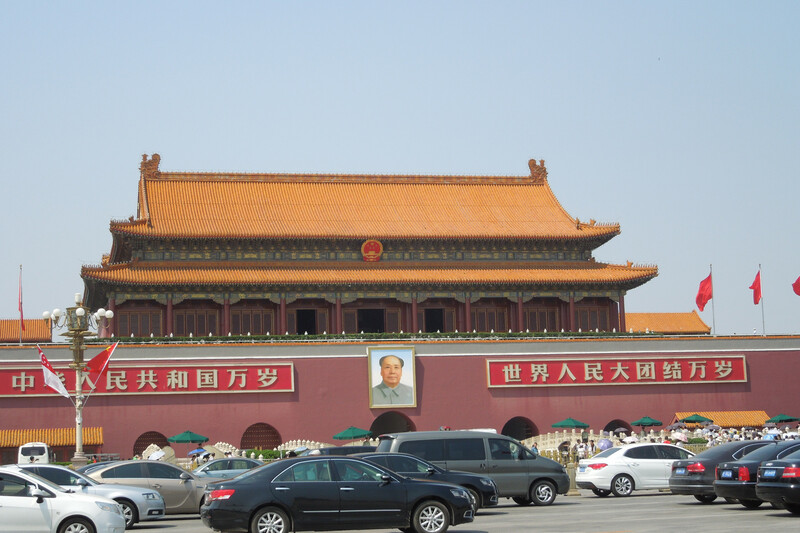 We have now reached the point in this “travel notebook” that we have arrived in Beijing: China’s grand capital. Here is a selection of photos over which you can peruse before our journey continues. We will leave the hustle and bustle of major cities for rugged travel, and village life. Enjoy! 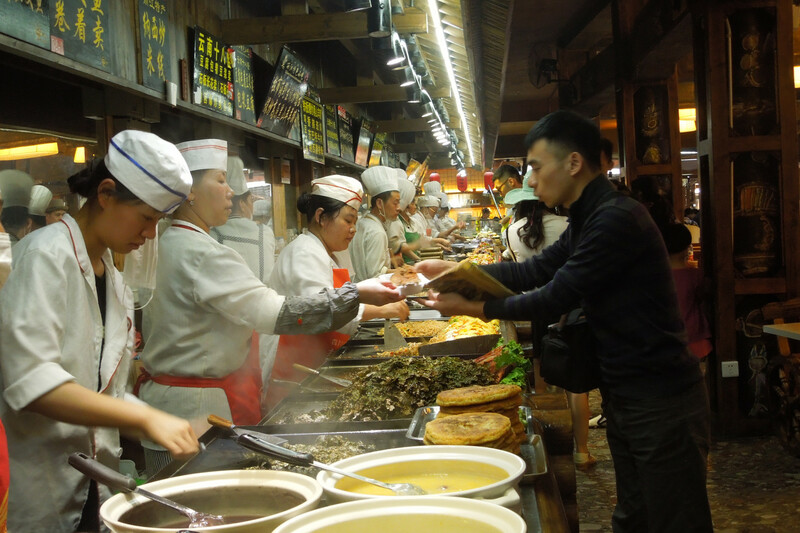 Watch this video of scorpions at Wangfujing Street’s night market! Dragons runs a “bridge year” program for students of Princeton University. One of our instructors invited Henry and Luis, American and Colombian students respectively, to share their homestay experiences with us in scenic Jingshan Park in Beijing. I acted as translator for our group. It was really interesting to hear their success and challenges/struggles during their seven-month-long homestay. 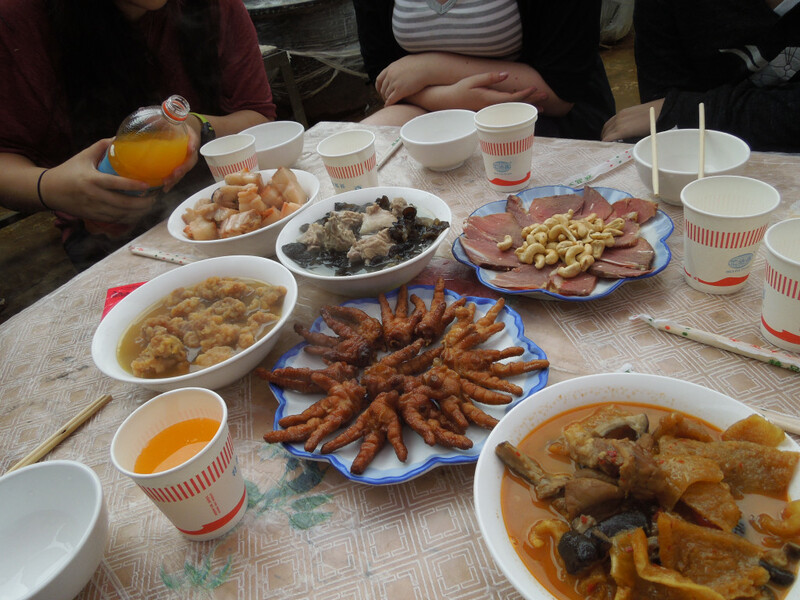 One thing I learned was that it is vital to interact with your host family during and after dinnertime. 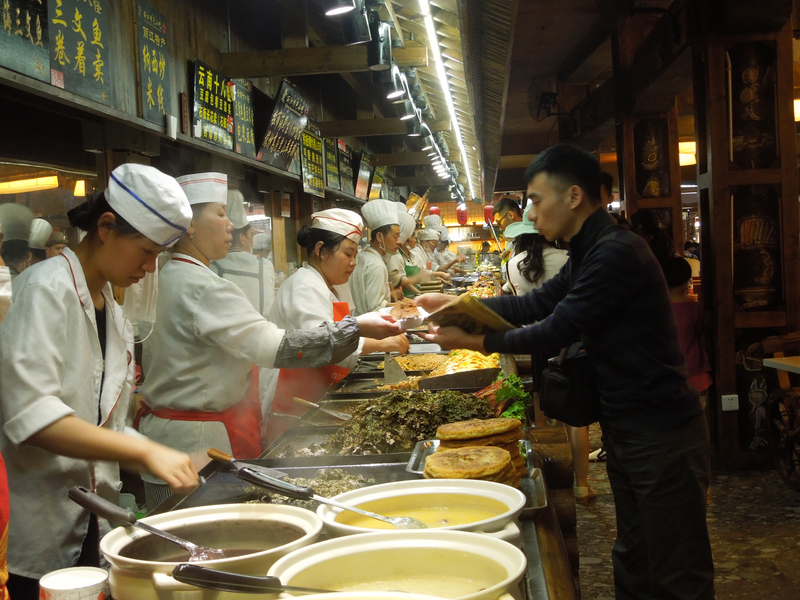 By helping wash dishes, chop vegetables or serve food, you can gain a huge insight into Chinese culture, while acquiring the trust of your host family. By doing this, they’ll welcome you as one of their family. Stay tuned for more journal entries! Check out the photos below.